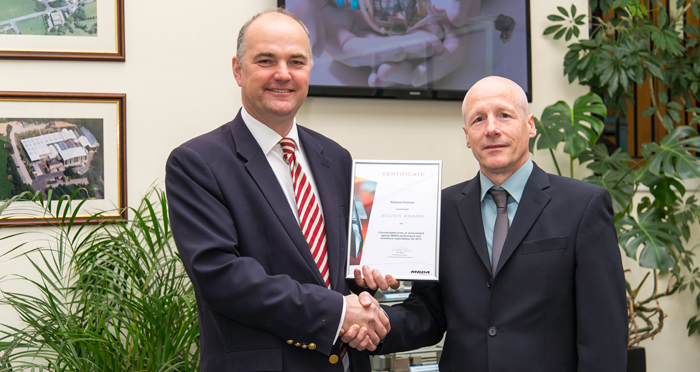 Reliance Precision has been presented with a silver award by MBDA Missile Systems for high levels of achievement set against performance and excellence expectations for 2013. MBDA evaluate suppliers based on 5 main criteria in the recognition process; focussing on delivery, commercial, technical innovation, quality and supply chain management. Reliance’s receptive approach to flexibility, providing effective partnership through technical innovation and design, was a key factor in gaining this award.